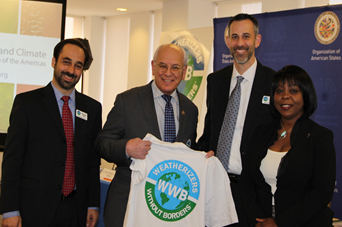 Weatherization Forum at the OAS in DC – Weatherizers Without Borders | It’s time to think big… and weatherize globally! 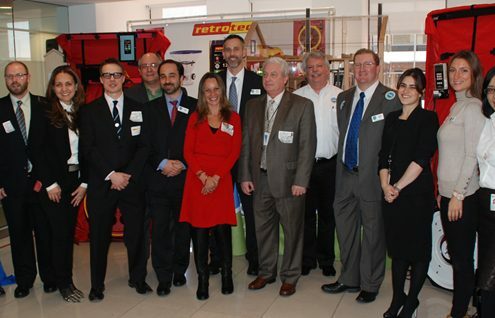 Weatherization, energy efficiency with social inclusion, public policy transfers and international partnerships were all discussed last Friday, Feb 27, at the ECPA Forum: Energy Efficiency and Weatherization in Low-Income Housing in the Americas. 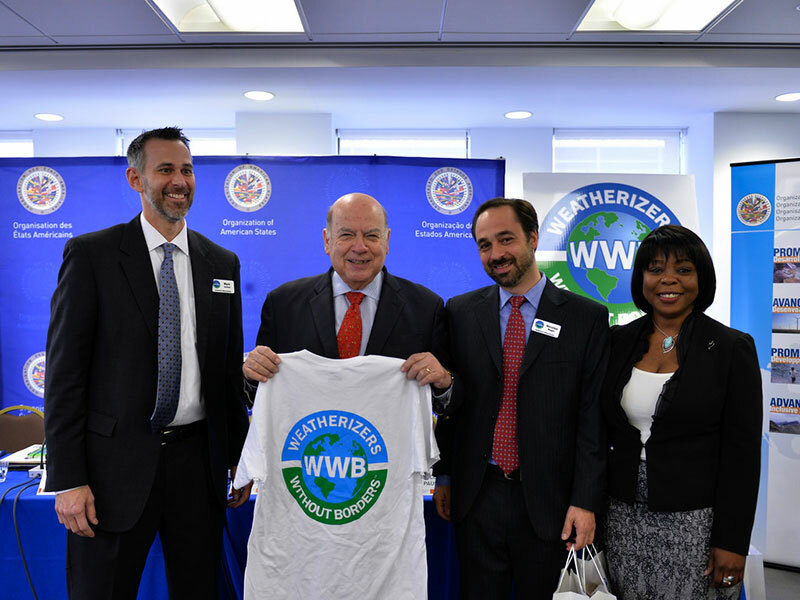 The Energy and Climate Partnership of the Americas (ECPA), the Organization of American States (OAS), and Weatherizers Without Borders (WWB) organized the second Inter-American Weatherization Exchange Event. 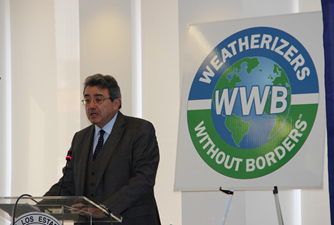 The purpose of the event was to share the U.S. Department of Energy’s Weatherization Assistance Program (WAP) with representatives of all the 34 member countries of the OAS, in addition to observer countries, officials, experts and professionals of energy efficiency in the world. 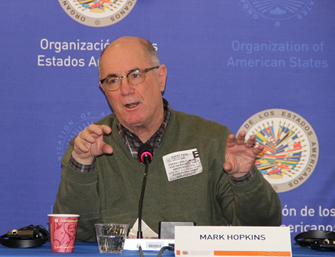 The forum was held at the OAS General Secretariat Building, where over 100 audience members gathered to hear from a distinguished panel of speakers. 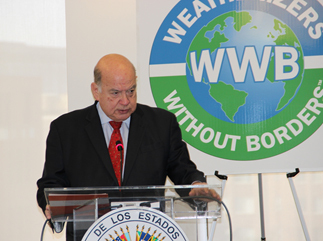 Secretary General of the OAS José Miguel Insulza delivered opening remarks in which he highlighted the importance of renewable energy technologies and energy efficiency, as well as the work that technical working groups have been doing in low-income communities. 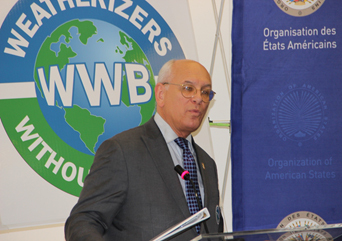 Congressman Paul Tonko, Representative of New York’s 20th Congressional District, specified the various ways in which weatherization works: energy savings, jobs creation, health and safety improvements, and care of the environment. 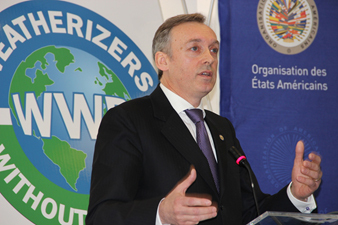 He also focused on the benefits of engaging the U.S. Department of Energy (DOE) and U.S. Department of State with Latin American countries to expand the Weatherization Assistance Program (WAP), especially in low-income communities. 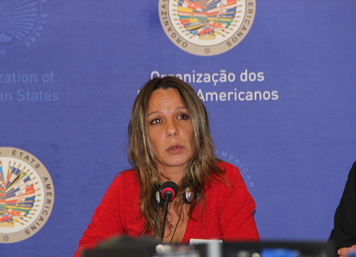 The event continued with presentations by Mexico and Uruguay’s Permanent Representatives to the OAS. Ambassador Emilio Rabasa Gamboa, Permanent Representative of Mexico to the Organization of American States, presented the participation of Mexico in ECPA through the Ministry of Energy and the National Commission of Energy. 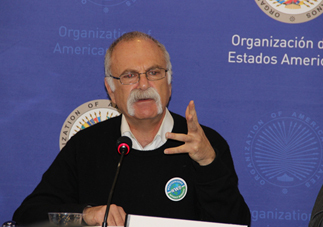 He described two issues the working group is undertaking: the thermal performance of buildings in Chile, Uruguay, and Mexico; and the legal and technology policies in the region. 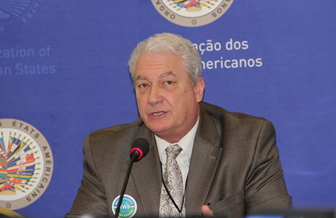 Ambassador Hugo Cayrus, Permanent Representative of Uruguay to the Organization of American States, described public policies Uruguay develops to improve energy access and energy efficiency in low-income households. Cayrus highlighted the importance of making technologies and sustainability accessible to everyone, and the interest of Uruguay in exchanging knowledge about international best practices in these working areas. The program’s focus then shifted to U.S. public policies that assist families in need. Robert Adams, Program Manager of the Weatherization Assistance Program (WAP) at the Department of Energy (DOE), presented the reasons why this program is implemented since 1976 with high success throughout all the United States. Adams pointed out that the program acts as an unemployment program, employing 8,000 people and adding significantly to private sector jobs. He specified that the program’s skill-based training is certified by a third-party organization to ensure consistent quality. In addition, Adams called out the societal benefits of weatherization, stating they are some of the most important results of the program. Regarding the environmental benefits of weatherization, he provided data that showed how weatherizing one house is equal to taking three to four cars off the road. Adams went on to say that WAP cannot work without government funds, pointing out that last year $1 billion was disbursed for the weatherization of 90,000 households. 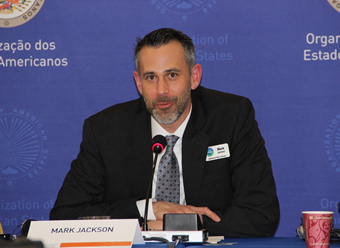 Presentations on inclusive public policies continued with Mark Wolfe, Executive Director of the National Energy Assistance Directors Association (NEADA), representing the state directors of the Low Income Home Energy Assistance Program (LIHEAP). Wolfe explained that weatherization is a partnership between utilities and the state, and that low-income families benefit from weatherization when they experience lower energy costs. As the utility burden decreases, they are able to allocate more money to food and clothing. David Bradley, Executive Director at the National Community Action Foundation (NCAF), stated that weatherization transcends partisanship, that funding for the program has been relatively stable, and that private funding has increased dramatically over the past four decades. 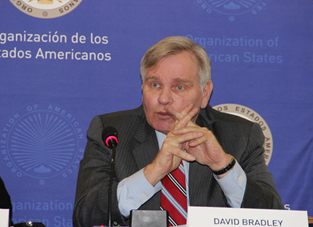 Mr. Bradley focused on the consistency of who provides the service, because high quality is what matters most when garnering Congressional support and allocating funding ($5 billion out of the $800 billion in stimulus money was appropriated to WAP over three years). Finally, he stressed the fact that WAP is returning twice as much health and safety benefits as energy savings benefits. 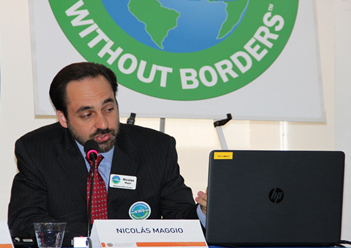 The moderation and closing remarks were in charge of Juan Cruz Monticelli, ECPA Clearinghouse Manager. 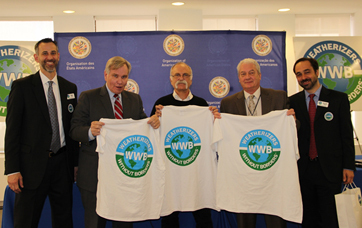 After these presentations the speakers exchanged ideas and souvenirs with WWB officials.